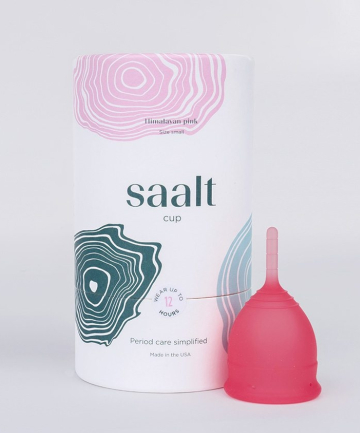 Saalt Regular Saalt Cup, $27 Tired of tampons? It's time to look beyond the drugstore and give menstrual cups a try. While menstrual cups are still a relatively new idea in the world of feminine care, thousands of women are onboard with the environmentally friendly alternative to period waste. Many find them to be a convenient option since they only need to be switched out every 12 hours. While the removal can be a tad messy, once you get the hang of it, it's smooth coasting.